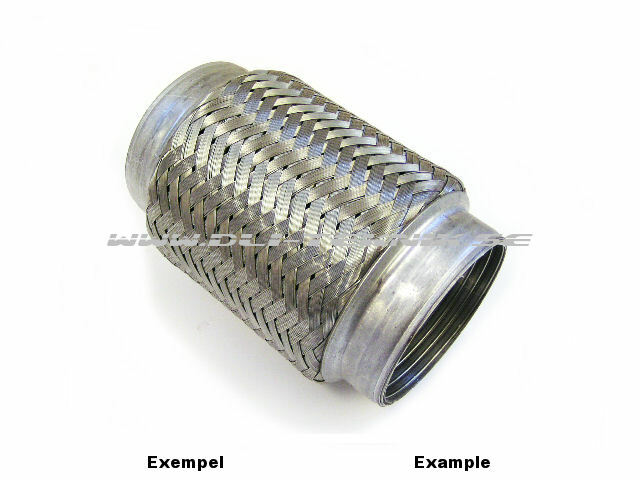 Stainless flex pipe which allows the engine to jiggle without breaking the exhaust system. The pipes are welded on the downpipe between the manifold and the catalytic. Heavy duty design that can handle very high temperatures. 3-layer construction guarantees long life-span.